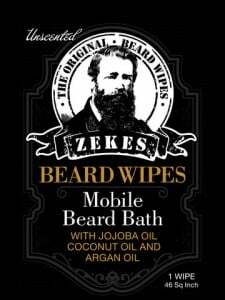 FREE Zeke Samples Beard Wipes! You are here: Home / freebies and free samples / FREE Zeke Samples Beard Wipes! Right now you can claim FREE Zeke samples of beard wipes! These beard wipes are great for men who have full beards that get messy when they eat. These unscented wipes help get rid of odor and particles that get stuck in a beard. Claim this freebie offer before it disappears! Just add it to your cart, check out, and submit your request.